When it comes to oral health, a healthy lifestyle is key. Maintaining your overall health and wellbeing, on the inside and out, can lead to improved oral health as well. That means choosing healthy options when it comes to your diet. Dr. Van Treese identifies healthy foods for a healthy mouth. Dr. Van Treese identifies healthy fruits and vegetables for a healthy mouth. Pineapples contain a protein-breaking enzyme called Bromelain, that works to keep teeth strong and clean. Pineapples are also rich in vitamins, minerals, and acidity that can clean and remove stains from teeth. 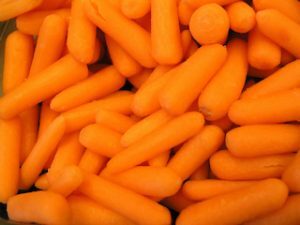 A tasty snack for children and adults, carrots help to keep enamel clear and vision healthy. Crunching on a carrot helps to stimulate saliva and wash away plaque. Carrots also contain Vitamin A, which is good for eyesight. Composed of fibrous strands that clean the teeth, celery is another crunchy snack that generates saliva and washes away plaque. Stay tuned as Dr. Van Treese shares more oral-healthy foods on the next blog post! Have you schedule your upcoming visit yet? Call our office in Sidney today to arrange one!